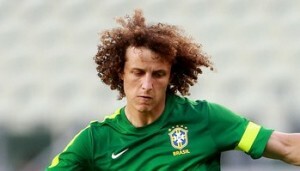 Sensational transfer news are out claiming that PSG are planning a £21.5 million bid for Chelsea defender David Luiz. The Daily Star reported that the French giants will soon announce Fabio Capello as their new boss. And they could follow that with another big addition in Luiz if they beat Barcelona in the race to sign him. PSG owner Nasser Al-Khelaifi is understood to be keen to give Capello all the backing he wants. Luiz, who is currently on international duty with Brazil, is a man that interests Capello as he goes about the stiff task of fending off a title challenge from Monaco.